Been a fan of gaming the ECW for many years, Lots of colour and variety of troops. I used to game it in 28mm but getting them to the club and back as the army grew bigger became a back breaking problem, so they got used less and less, and in the end I sold them, promising myself I would replace them with a smaller scale. 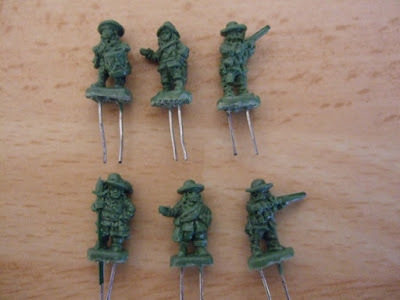 Now I already have a 10mm Napoleonic range on my website and we use that down the club often and frankly if I was starting my business from scratch everything would be in 10mm, for me they just seem to be the perfect size. So I have decided it’s time to get started on the ECW and this time in 10mm. They will be listed on my website, but this is your opportunity to get in at the beginning, and get them at the lower price as a thank you for your support. I do all my own mould making and casting, so just looking for some help with getting the masters made, the more funds raised the larger the range will be.